If your key fob has stopped remotely opening your car doors or has become problematic, then it may mean the battery is flat and needs replacing. 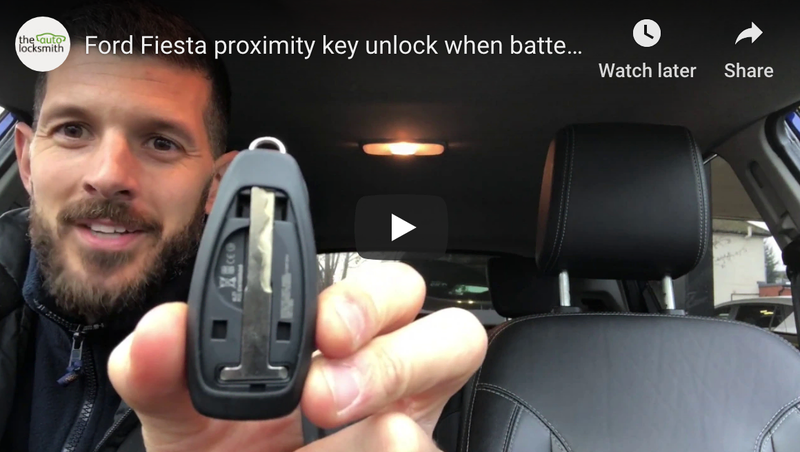 The battery in the key fob only supplies power to the remote opening functionality and not the transponder chip that deactivates the immobiliser. The transponder is a passive chip that requires no battery. I will talk more about tranponders and how they work in a separate post. Replacing your key fob battery is a simple procedure that requires not specialist skills or knowledge. Their are two types of fobs, some are built into the key and some are separate remotes that can be clipped onto the key. Either way the procedure for replacing the battery is identical. The battery will be flat and round like a large watch battery and stored in the head of the key fob. To replace the battery simply open the fob in half using a flat head screwdriver. Depending on which car key you have, you may need to lift out the circuit board of the remote to reveal the battery. Again, using a flat head screwdriver lift out the battery from its housing and fix in the new battery. Clip the two remote halves back together and that’s it…battery replaced! BEWARE… Some car key fobs will lose synch with the car if the battery is removed for too long. If this happens the fob will need reprogramming. Some key fobs can be reprogrammed with a manual procedure but some require programming with a diagnostic tool, so ensure you replace the new battery straight away. I will discuss methods of programming your own key remotes in a future post.